Commercial vehicle auctions take place on the first and third Tuesday of each month at 3:00pm. 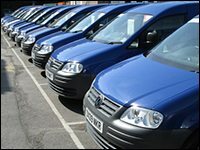 Vans – Long wheelbase, medium wheelbase and short wheelbase vans at auction.NOTE: Used Commercial Vans are always offered for sale at auction.Popular commercial manufacturers and makes such as;Ford Transits, Mercedes Vans, Vauxhall and VW Commercial Vehicles are regularly available. Click here to take a look at some of our past commercial vehicle entries. 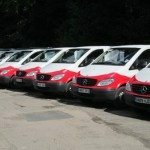 Utility companies – Wessex Water, National Grid, Wales and West Utilities, ADT, XBG Fleet Management, etc. Local councils – Dorset, Bournemouth, Poole, Hampshire, Southampton, etc. Our commercial vehicle auctions are extremely popular, with SWVA being the best seller of Vauxhall Vivaros from XBG in the entire country, our commercial van sales are always well received! If you are looking to pick up a used commercial vehicle for a good price, SWVA is the auction for you. Occasionally we have special entries into our commercial sales, with a large number of entries from a certain company. For example, in the past we had eight Optare buses from Dorset County Council, sit-on commercial mowers from Poole Borough council, and quad bikes for auction from the RNLI.These special sales will be advertised on our website, facebook and twitter accounts.To be kept up to date on all our commercial sales, add your name to the SWVA mailing list. Are you a commercial trader? Visit our trade application page to take advantage of our deals for registered buyers and dealers. We also offer trade commercial buyers an online auction facility as well as telephone bidding being possible on the day. Registration is simple and easy. To use our online buying service, just follow the instructions on our ‘LiveBid’ online vehicle auction bidding system registration page. To view the latest commercial vehicle auction catalogue, as well as the catalogues for our normal car sales and classic car auctions, please visit our online vehicle auction catalogue. So don’t forget to look out for the first and third Tuesday of each month as our commercial van and car auction days are always a key date in the UK auction calendar to remember! 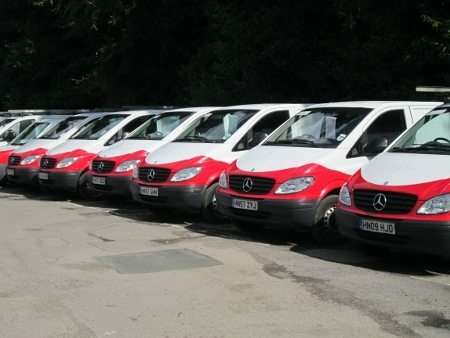 For more information about purchasing a van or truck at one of our commercial vehicle auctions, please get in touch. You can contact us at our office on 01202 745466 or via email at enquiries@swva.co.uk. Alternatively feel free to download our commercial sales entry form and let us take care of your commercial vehicle for sale on our auction day. So whether it’s small commercial vans, through to large commercial trucks, South Western Commercial Vehicle Auctions is one of the leading UK places to buy and sell commercial vehicles!